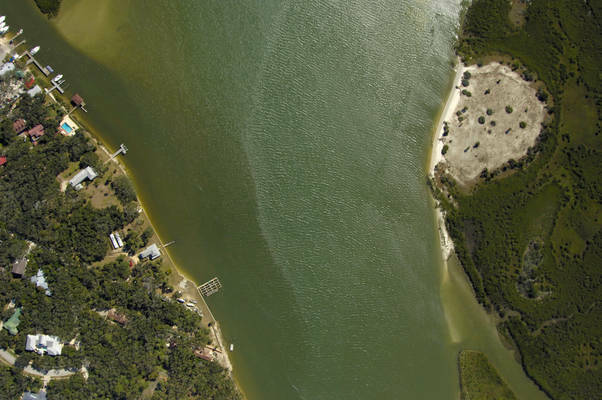 The image above is a view from the north looking south across the terminus of the Halifax River where it empties into the Ponce de Leon Inlet, and then farther south where the Intracoastal Waterway comes back in north of Cook Creek. 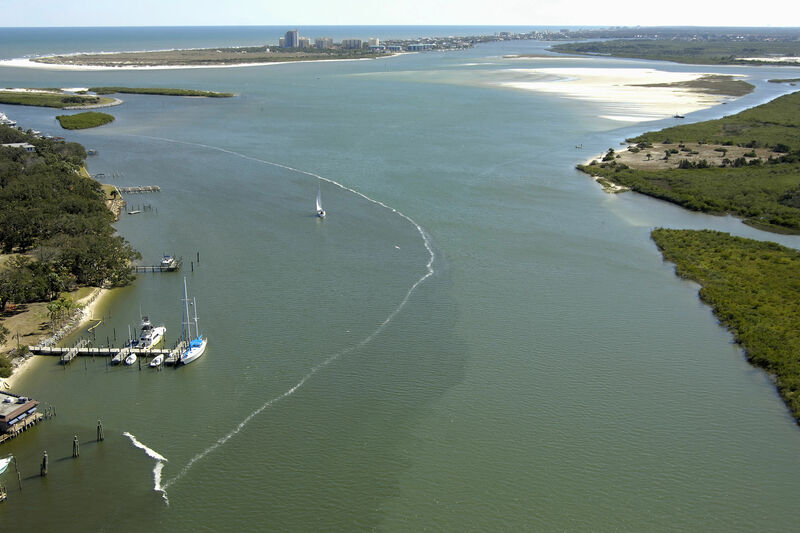 The Intracoastal Waterway (ICW) is actually not visible in the image above, as it runs the area from Blind Spruce Creek south along the Ponce de Leon Cut, past Rockhouse Creek, and finally back into the natural flow of the Waterway north of New Smyrna Beach. 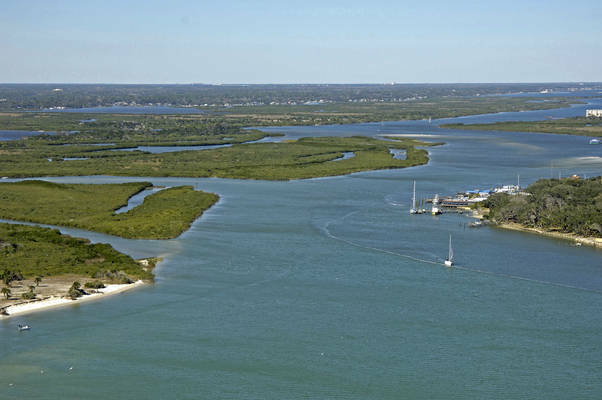 Ponce de Leon Inlet is to the left (east), while the ICW route is out of the image to the right (west) in the Ponce de Leon Cut. 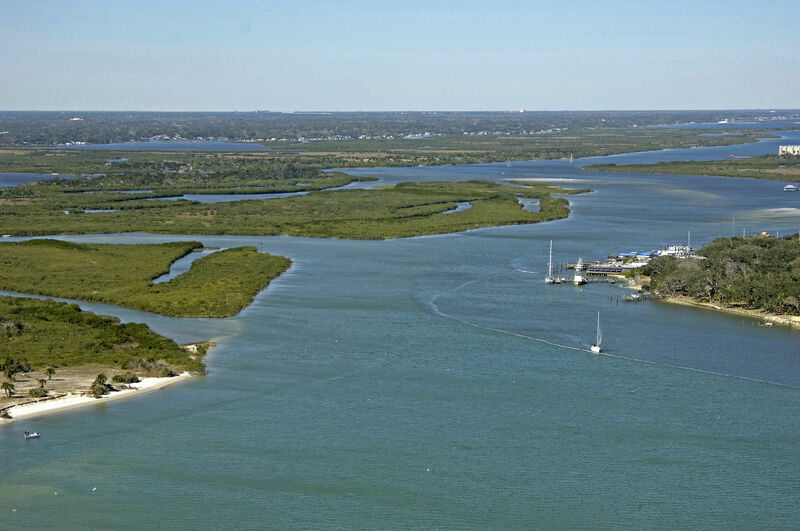 The recommended route for Intracoastal cruisers is the Ponce de Leon Cut, mentioned above. Otherwise, most cruisers use the route above to transit the Ponce De Leon Inlet, which, while recently dredged, remains unstable and ever-changing. 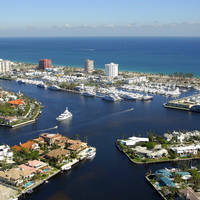 Depths in and around the inlet range from four to eight feet, but there are shallower spots lurking under the surface. Boats with drafts of more than about three to four feet should not attempt the inlet, or the passages leading to the inlet from the north or south. 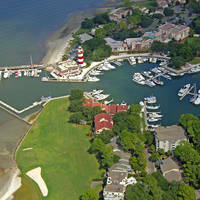 Sea Love Boatworks and Lighthouse Boatyard are located north and south of the Ponce de Leon Lighthouse, with varying levels of service. Cal ahead for slip availability. No reviews yet! 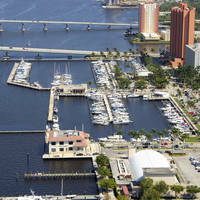 Be the first to write a review of Halifax River South Inlet.